This Weber 7149 grill cover for a 22 inch grill is the upgrade from the cheaper 7451 model that is made of plastic. This Cover is made of polyester and will last a lot longer and will stand the harsh winters in the northern states better. This grill cover also fits a 22-1/2 inch grill according to many reviewers. 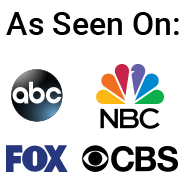 Polyester is more pliable in cold weather and is still as strong as the older materials like the vinyl used in the older model grill covers. The polyester is also a material that breaths more then the vinyl covers and this will give a better protection year around. Weber has upgraded this grill cover in 2015 to the polyester to make them more UV resistant and this material also cracks less and does no shrink. I always like to read the bad reviews first to see if they have something in common that is worth mentioning. There were some bad reviews that were older so I assume that this was the older model or even the cheaper 7107 model since someone mentioned the grey color. One reviewer gave it a 1 star because it blew away in the wind and he could not find it back. Come one, are you seriously giving it a bad rating because you could not find it back? One buyer mentioned that it survived the wettest month in the history of Oklahoma and it took all the wind and rain like a champ. The attached storage bag does not get to much attention and some people even wonder if the cover will fit. I think it will, but like many people do they just fold the cover op when they grill and put it back on when they are done and the grill cooled of. No need to use the bag. The Velcro straps at the bottom received a lot of good comments and it secures the grill cover to the grill and prevent is from being blown of by strong winds. The fit is good and many people mentioned that it even fits their 22.5 inch kettle grill. Some mentioned it was a little snug and others mentioned if fits nicely. 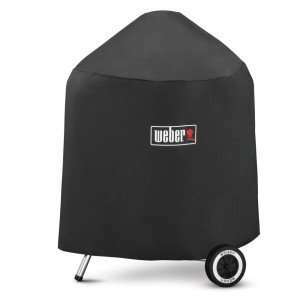 After reading a lot of reviews and looking at the features and used material we can recommend this Weber 7149 22 inch kettle grill cover as a good buy. The new used polyester material seems to hold up very good in the Northern US with the tougher winters than the older model. Many reviewers mentioned the good fit and the convenience of the Velcro strap that unlike many other grill covers works this time and keep the cover on the grill even in very windy situations. What surprised me most was that many people also used it on a 22.5 kettle grill with no problems. We probably have to mention that this is not guaranteed of course. But all grill covers are still hand made by someone and a little more room will make it fit. Although I also read that it fitted but a little tied on the handles. Since a 22 or 22.5 inch kettle grill is almost a standard grill size I think this grill cover will not just fits the Weber kettle grill but many other brands also. What always surprises me is that people complain about the price of a grill cover like this one. You spend a lot of money on a grill, charcoal or gas, meat and accessories and then try to be cheap on a good quality grill cover that can make your grill last many more years.